TACLOBAN CITY -- The Civil Aviation Authority in this city has doubled its security efforts at the Daniel Z. Romualdez (DZR) airport to secure visitors and airplane passengers. Merla Negradas of Civil Aviation Authority said that they have already coordinated with police officials in the region to help them in the security at the airport. "Safety and security of all the passengers, and visitors who will be arriving to visit the region to celebrate Christmas is our main concern," said Negradas. "All passengers' baggage are strictly inspected and all our security measures at the airport are being implemented," Negradas added. December is considered as a peak season for the travelers especially those who will be visiting their relatives for the celebration of Christmas. It is expected that this season, the influx of visitors and people who are scheduled to celebrate Christmas at the provinces will increase. Most passengers are taking advantage over promos of airline companies for fare discount. Due to the expected increase of passengers, operation of the airport is extended. During the "lean" season DZR airport operates from 5 a.m. until 6 p.m.. But now, operation starts at 4 a.m. until 7 p.m.
Daniel Z. Romualdez airport is consider as the air travelers' gateway to Eastern Visayas. GOV'T CENTER, Palo, Leyte -- Presidential Assistant for Eastern Visayas Cynthia Nierras said she is giving priority to the rehabilitation of the Daniel Z. Romualdez (DZR) Airport, saying that it plays a vital role towards the region's development. Nierras said she would be meeting with all concerned parties on this particular matter like Tacloban City Mayor Alfred Romualdez and officials of the Department of Transportation and Communications. From there, the presidential assistant said, she would see what her office could do for the long-delayed project to be realized. "The DZR Airport is very critical for development not only for Tacloban but to the entire Eastern Visayas region. I will talk with all the concerned people and see what the office of the presidential assistant can help on this project," Nierras yesterday said. The DZR Airport serves as the main gateway to the region, with two of the country's major airline companies making daily flights to Manila and Cebu. The rehabilitation and upgrading of the DZR Airport has been in the pipeline for more than a decade now but up to now it has yet to take off due to some problems. Initially, the project is to be undertaken by the Japan International Cooperation Agency to the tune of more than P3 billion, with the national government providing a counterpart of around P600 million. But the project encountered several problems like the relocation site of families to be displaced by the improvement of the region's premier airport. Mayor Romualdez had proposed to undertake the rehabilitation work, initially its terminal building, through the build and operate transfer scheme. However, the project has yet to be approved by the DOTC through the Civil Aviation Authority of the Philippines (CAAP). The Tacloban city mayor had also announced earlier that his cousin, Representative Ferdinand Martin Romualdez (1st district, Leyte), was able to convince the President to include the funding needed for the rehabilitation work of the airport under the 2009 national annual budget. Presidential Assistant Nierras said that she is hopeful that the DZR rehabilitation project would soon be realized considering that no less than the President herself had announced her interest to improve the said airport. "The President had made an announcement regarding the Tacloban Airport as well as the airports in Calbayog and in Guiuan," she said. Nierras said that the rehabilitation of these three airports is what she described as among the "presidential commitments" for the region. During her recent visit in Calbayog City, the President promised to upgrade the Calbayog Airport as the Philippine Airlines began using the said airport. The Guiuan airport, meantime, was given a funding of P38 million for the improvements of its runway and terminal building, among others. The Guiuan airport is projected to be in complete use once tourists start to flock to the Calicoan Island. TACLOBAN CITY, Philippines -- The Philippine Drug Enforcement Agency (PDEA) in Eastern Visayas on Wednesday said drug users affected by the economic crisis might have shifted from methamphetamine hydrochloride (shabu) to marijuana. 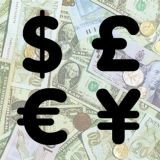 "Unlike shabu, a stick or a gram of marijuana is much cheaper...That is why these users have shifted to marijuana. They are also feeling the heat of [the economic] crisis," PDEA-8 regional director Gil Pabilona said on Wednesday. Pabilona said a stick of marijuana can be bought for as a low as P10 while a gram of costs from P70 to P100. In contrast, a sachet of shabu sells for P200 and a gram of shabu for P5,000. Pabilona said that from July to November 15, they arrested more persons -- 33 -- for possession of marijuana, compared to only 20 arrested for possession of shabu. The PDEA-8 also seized a higher volume of marijuana, 2,171 grams valued at over P217,000, and only 6.37 grams of shabu worth P127,000, Pabilona said. TACLOBAN CITY -- Former First Lady Imelda Romualdez-Marcos has endorsed the bid of Tacloban to become a highly-urbanized city (HUC). The wife of the late President Ferdinand Marcos said that Tacloban deserves to be reclassified as an HUC as it is already qualified to become one, and that she sees that it will bring further development not only to the city but to other parts of the region as well. "First of all, what is good for one is good for all. Tacloban has always been the center city in the region. From the center, it is where development and progress originate. Development of Tacloban that goes along with being HUC will also be development for Samar, Biliran, and other parts of the region," she emphasized. Mrs. Marcos, who was in the city recently for a two-day visit, then appealed to people across the region to rally behind the bid. "It's about time nga magkaurusa kita. Pinangangaro ko ha aton mga sangkay, ha aton mga kabugtuan, bisan kontra partido kita, ayaw kita pagkontra hit kaupayan hit aton igkasi Waray. Let's go, be united in the center. From the center, we can go north, south, east, and west to make this whole region and country progressive," she said. Tacloban City Mayor Alfred Romualdez is pushing for the reclassification of Tacloban on the ground that it would attract more investors that could translate into better services and programs for its people. The mayor pointed out that under the law, the city has already met all the requirements which are 200,000 population and an annual income of P50 million. Tacloban has a population of more than 217, 000 with an annual income of more than P600 million. President Gloria Macapagal-Arroyo had issued a proclamation on October 4 declaring Tacloban as an HUC. The proclamation officially takes effect only upon ratification in a plebiscite scheduled to be held on December 18 this year. If the "Yes" vote wins in the coming plebiscite, Tacloban will become the region's first and the nations 34th HUC. TACLOBAN CITY -- City Mayor Alfred Romualdez lambasted critics of his plan to convert Tacloban into a highly urbanized city for only protecting their own interests and not of the general welfare of the people. The city mayor made this remarks as several local leaders, led by Vice Governor Mimiette Bagulaya and Vice Mayor Arvin Antoni, launched yesterday their "No" campaign against the HUChood of Tacloban. "The politicians that are saying ‘no' are afraid of change and are scaring our people. They are spreading baseless informations as they are only protecting their own personal agenda," Mayor Romualdez said. Some of these alleged "baseless informations" that his critics are spreading to "scare" the people include the purported merging of barangays, tax increase and the phasing out of motorcycle for hires from the city streets, the city mayor added. According to him, the unfounded informations that his critics are spreading are far from the truth and would never happen once Tacloban becomes an HUC. "I don't have to wait for Tacloban to become an HUC for me to merge our barangays if indeed I have that intention. Merging our barangays is not that easy. There is a process to be followed. 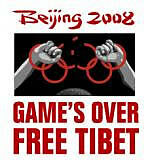 It will not happen," the city mayor said. "The best people to answer this issue are the people from the Department of Interior and Local Government and not politicians who are spreading this misinformation and lies," he added. Romualdez said that he is ready to do battle with his critics on the HUChood of Tacloban, saying that as a true-blooded Waray he would do everything just to defend the interests of Tacloban and its people. "There are two kinds of house owners. One that remains inside the house and says that he would defend his property while the other kind of owner is one who go out his house and face his opponent. This is the kind of owner I am," the city mayor said. The group opposing the HUChood of Tacloban kicked off their campaign yesterday morning at the RTR Plaza as they expressed their sentiments as to why they are not supporting the conversion. Vice Governor Bagulaya, who was among the speakers during the rally, reiterated her stand why she is opposing the HUChood of Tacloban. According to her, there are pressing problems that the city is facing that should be first addressed by the city officials. "Tacloban is not yet ready to become an HUC," Bagulaya, a one-term vice mayor of the city, said during the rain-soaked rally. Mayor Romualdez said that despite the opposition to the conversion of Tacloban, he would campaign for the conversion by going to the barangays. "President Macapagal-Arroyo has proclaimed Tacloban into an HUC. And (former) First Lady (Imelda) Marcos is endorsing it so as various sectors like the Church," he said. TACLOBAN CITY -- The City Environment and Natural Resources Office (ENRO), in partnership with the Department of Environment and Natural Resources (DENR) and the office of Leyte First District Representative Ferdinand Martin Romualdez, will set up a regional wildlife rescue center and mini-zoo in Barangay Salvacion, this city. This was disclosed by City Environment Officer Jonathan Hijada, who pointed out that the said facility could be in place early next year. According to Hijada, the rescue center is intended to be the temporary repository for abandoned and illegally-traded wildlife in different parts of Region 8. "Wildlife species, especially the endangered ones, confiscated by DENR or the police in this city and other parts of the region will be put in cages inside a fifty-hectare spread. Assigned personnel will care for them until they are well enough and conditioned to be returned back to their natural habitats," Hijada said. "This is one way to conserve the bio-diversity and fight illegal trading of endangered species in this region," he explained. Hijada said that other agencies like the Department of Agriculture (DA) and the City Veterinary Office (CVO) will provide technical support by way of medicines, vaccines, and feeds to help maintain the center and the well-being of animals put there. The city environment officer then pointed out that rescue center and mini-zoo could be a boon for residents of the area. "We will employ some of the residents to help care and guard the animals. Also, the rescue center could serve as an eco-tourism destination that will bring in animal watchers and tourists from other places," Hijada revealed. "As of now, we are conducting site identification and surveying, site preparation and structural planning, wildlife assessment, and seminar-workshops preparatory to the implementation of the project. I believe that this project would be successful, especially that Tacloban City Mayor Alfred Romualdez is fully supporting it," he added. TACLOBAN CITY, Philippines -- The city health office here has renewed calls for vigilance against a possible rise of dengue fever cases in the city as a five-year old boy died of the disease last week. The death of the five-year old boy, a doctor's son, brought the number of fatalities due to dengue to three in the city for 2008, Tacloban City sentinel nurse Mel Tirso Maravilles said. In 2007, two children from the city died due to dengue, an acute infectious disease caused by a mosquito bite. 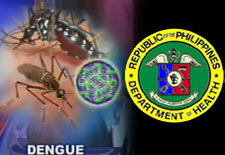 Maravilles said 164 persons in the city fell ill with dengue fever from January to November 15, 2008. In the whole of 2007, Tacloban City registered more than 200 persons affected with dengue fever, with two confirmed deaths. Maravilles said most of the 164 persons who fell ill with dengue in 2008 were children from three to 17 years old. He urged the city residents to sanitize their surroundings and destroy the possible breeding grounds of dengue-causing mosquitoes, like pools of stagnant water. Maravilles also noted that those showing symptoms of the disease should be brought immediately to the hospital for treatment. The symptoms of dengue fever are high fever, rashes, severe headache, pain behind the eyes and muscle and joint pain. TACLOBAN CITY -- City elections officer Susan Collamar issued an appeal not to take the issue on the reclassification of Tacloban on a personal level but rather stick to issues why there is a need for Tacloban to be converted into a highly urbanized city. Collamar admitted that she feels "disappointed" on the way some sectors, including the media, are handling the HUChood issue. According to the city elections officer, she is making a personal interest on how the reclassification of Tacloban into an HUC is being discussed through the mass media. "Unfortunately, I am not happy. That is why, I am asking the media, in particular, to be responsible on what we say, report or write," Collamar said during the weekly media forum "Express it at the Park" held at the Leyte Park Resort. She asked the media or any interested groups or individuals to visit their office if they want to be clarified on issues that concern the conduct of the plebiscites as well as what acts that are considered prohibited. The Comelec had scheduled the plebiscite for the conversion of Tacloban into an HUC on December 18, Thursday. Collamar said that their office is slated to initiate a public forum about the issue next month. This way, they could help enlighten the voters on what side they would take once they cast their votes during the plebiscite, the city elections officer. Mayor Alfred Romualdez is pushing for the conversion of Tacloban into a highly urbanized city on ground that it would further attract investors that could translate to better services and programs for its people. However, this plan of the city mayor is being questioned by other sectors and local leaders who said the city is not yet ready to become an HUC. Collamar said that their office is now ready for the December 18 plebiscite wherein registered and qualified voters would be asked if they are in favor of the conversion of Tacloban into an HUC. The city elections officer said that they already have the list of registered voters. "And we have already printed the ballots," she said. The printing is being done by their central office. It was also learned from Collamar that the result of the plebiscite could be known before "midnight" of December 18. "Barring any unforeseen event, I can say that we will know the result of the plebiscite before midnight," she said. For the plebiscite, about 107,078 qualified and registered voters of the city are expected to troop to the 520 polling precincts. This early, Collamar urged the city voters to "go out and vote" on the December 18 plebiscite. "There is no candidate here except the (fate of) Tacloban on its conversion into a highly urbanized city," she said. TACLOBAN CITY, Philippines -- Top officials of the Department of Agriculture in Eastern Visayas have expressed confidence of a 10-percent growth in rice production in 2008. Rufino Ayaso III, chief of the DA regional research division, also expressed optimism the region would breach the one-million-metric-ton mark in rice yield for the first time this year. Ayaso said the Bureau of Statistics placed the region's rice production in the second semester of 2008 at 475,000 MT of palay or unhusked rice. However, the BAS estimated Eastern Visayas' rice production to reach 546,175 MT in the first semester, he said. If these are confirmed, the region's palay production for 2008 could reach 1.4 million MT, said Ayaso, the concurrent regional coordinator of the Ginintuan Masaganang Ani (GMA, Golden Bountiful Harvest) rice program. The region's palay production in 2007 reached 949,000 MT. Hitting the one-million-MT palay yield this year would mean that the region's rice harvest doubled in the past eight years. The DA-8 data showed that the region's palay harvest in 2001 reached only 565,895 MT. The areas planted to rice from May to October in 2008 also rose from 116,822 hectares to 120,976 hectares, up by 3.6 percent. In an earlier interview, DA-8 regional director Leo Cañeda attributed this year's high rice production in the region to the farmers' continued use of certified and hybrid rice, area expansion and the use of fertilizer. Cañeda disclosed that the continuing government subsidy on rice seeds and fertilizer also encouraged more areas to be planted with certified and hybrid rice. Meanwhile, BAS data have shown that in 2007, Leyte province topped in palay production in Eastern Visayas with 582,840 MT, followed by Southern Leyte (86,902 MT), Samar (86,768 MT), Northern Samar (76,766 MT), Biliran (71,817 MT) and Eastern Samar (43,734 MT). TACLOBAN CITY -- Leyte Governor Carlos Jericho Petilla said the rehabilitation and repair of existing facilities of the MacArthur Park Beach Resort Hotel would need at least P700 million in investment. Gov. Petilla disclosed that this is the same amount that the province is posing to any interested takers or private investors who would want to develop the place after the resort's management has recently been turned over to the provincial government. The governor added that the turnover came as a surprise to the province since it has been a while back when the provincial government started to push for the transfer of the management from the Philippine Tourism Authority to the provincial government. Despite the long lull, immediately after Executive Order 756 issued by President Gloria Macapagal Arroyo came out, Gov. Petilla disclosed that a number of investors have already contacted him and signified their interest to develop the place. The governor disclosed that the province has pegged the invitation to at least P700 million to fully develop and refurbish the 4.9 hectare property 43-room MacArthur Park Resort, and operate the same under the provincial government. "In my interviews with tourists and visitors, I have learned what they look for is not so much upscale comfort rather clean and fully equipped rooms and facilities with access to a clean beach. MacArthur can offer that. All we need to do is improve its existing facilities to cater to the needs and tastes of our targeted guests, visitors and tourists," Gov. Petilla said. Meanwhile, the governor assures personnel and hotel staff of the Mac Arthur Park Beach Resort would not be affected with the turnover of management from the Philippine Tourism Authority to the provincial government effective this January. All of the staff would be absorbed by the provincial government and would now be under the latter's payroll. Aside from operating the hotel, maintenance of nearby historic MacArthur Landing Memorial and National Park is also turned over to the province from the PTA. TACLOBAN CITY -- A chief executive of a town in Samar Province became the latest to come out in favor of the bid of Tacloban to become a highly-urbanized city (HUC). Earlier, Presidential Assistant for Eastern Visayas Cynthia Nierras also voiced her endorsement of the city's bid. In a chance interview, Mayor Mario Quijano of Pinabacdao, a town located 30 kilometers from this city, expressed his support to the bid of Tacloban to become an HUC. "Yes ako hito, kay damo man it madadara hito nga benepisyo diri la ha Tacloban, kundi ha iba gihap nga parte hit rehiyon, upod na it Samar. Nakikita ko nga magigin mas asensado it ekonomiya naton dinhi, salit suportahan ta ito" said Quijano, who also has a residence and owns several businesses in the city. Tacloban City Mayor Alfred Romualdez is pushing for the conversion of Tacloban into an HUC on the ground that it will attract more investors and bring further economic development, not only to the city, but the region, as a whole. If the "yes" vote wins in the plebiscite, Tacloban will become the region's first and the nations 34th HUC. Meantime, a Tax Forum was successfully held in this city recently. The forum, which was held at the Kanhuraw Convention Center on Tuesday, November 18, gathered more than a hundred participants, mostly businessmen. Among those who attended was Leyte Chinese Chamber of Commerce Incorporated (LCCI) President Samuel Tiu. During the forum, Mayor Romualdez reassured the business sector that HUC-hood would not mean an automatic tax increase. "As I have said over and over, there wouldn't be an immediate tax hike once Tacloban becomes an HUC. Instead, we would be going after a more efficient collection of taxes, that the city couldn't do for now, because of lack of personnel," Mayor Romualdez said. The mayor noted that there are only few employees in the city to collect taxes from more than 13, 000 business establishments. "Once we become an HUC, the city can hire more employees to do the job," he said. Atty. Estrella Martinez, a former regional director of the Bureau of Internal Revenue (BIR) and one of the speakers during the forum, backed up the mayor's contention and stressed that HUC-hood has nothing to do with tax increase. "Fears of high taxes once Tacloban becomes an HUC are unfounded," she stressed. TACLOBAN CITY -- As the plebiscite period officially started yesterday, Nov. 20, city police chief Supt. Romulo Cleve Taboso said the full swing implementation of the Commission on Elections resolution 8520 will take effect and an urgent conference with members of the Tacloban PNP station will be conducted for proper information dissemination on the enforcement of the Comelec rules on the upcoming December 18 plebiscite. Taboso said that under this Comelec resolution promulgated by Comelec en banc last November 12, 2008, like in regular political exercise, the carrying of firearms and using of government facilities and personnel are prohibited. "So... it is very clear that carrying firearms of civilian, PNP, AFP personnel outside their residence without necessary mission except from their performance of duties or exception from the COMELEC otherwise it is prohibited," Taboso said. The entire police force in this city is now on red alert status as they will be officially enforcing rules under this Comelec Resolution 8520, targeting a peaceful and honest plebiscite wherein Taclobanons through casting their votes will decide on December 18 if they want Tacloban to become a Highly Urbanized City. It was learned from Taboso that the plebiscite period would end on December 20. He disclosed that installation of checkpoints, regular patrol operation around the city including an intelligence monitoring on people involve in the plebiscite activities will be part of their daily routine, part of their enforcement and security preparation of the coming plebiscite. On his part, Chief Supt. Abner Cabalquinto, PNP regional director in the region, vowed to deploy additional troops to Tacloban during this plebiscite period, depending on the situation. Taboso said some of the new police recruits would be deployed and use for the augmentation force to Tacloban PNP. TACLOBAN CITY -- The more than 700 employees of the city government are sure to support on the bid of Tacloban to become a highly urbanized city. In fact, they would openly campaign so that the "yes" votes would win in the plebiscite called by the Commission on Elections on December 18, said Pinky Brosas, chief of the human resource office of the City Hall. "We are all for the HUChood of Tacloban because we see that there will be advantages not only for the city itself but also in the delivery of governance and services right here (at the City Hall)," Brosas said. The City Hall executive said that when they campaign, they will make it sure that there will be no civil service rule that will be violated. "And we will make sure that we'll not derail our functions and obligations here," she said. "I don't think we will be violating any laws. This is not a regular election wherein there are candidates vying for positions. The issue here involves (the future of) Tacloban. This is not partisan politics," Brosas explained. "As the human resource officer, I am opting for a higher system of governance which we can achieve once we become an HUC as this will give us more responsibility towards our people in the city, in the barangays," she added. Brosas stressed that their decision to openly campaign for the HUChood of Tacloban was not because Mayor Alfred Romualdez directed them but they were all aware of the benefits of the reclassification. "And those among us who will disagree, it's all up to them. After all, we are in a democracy," Brosas said. But this early, she is confident that the "yes" votes will win during the December 18 plebiscite. The employees will campaign with their respective barangays and will distribute some materials wherein the advantages of the HUChood are stated and explained, the human resource officer said. "Of course, their campaign for the yes votes must start from their homes by campaigning with their family members (who are eligible to vote)," Brosas said. According to Brosas, with Tacloban becoming an HUC, new departments will be created by the city government to accommodate concerns and problems that are expected to surface like the increase number of people coming and living in the city. The coming in of new investors to the city once Tacloban is transformed into a highly urbanized city, will draw more people to the city to find work, she added. "Whatever development that will take place in Tacloban once it becomes an HUC is sure to radiate to its neighboring municipalities. They are also to benefit and not just Tacloban," Brosas. She also believes that Tacloban is ready on its bid to become the country's 34th HUC and the first in the entire region. Under the law, a city can be converted into a highly urbanized city if it has an annual income of P100 million and a population of 200,000. Tacloban has more than P500 million annual income with over 217,000 population. TACLOBAN CITY -- Leyte Governor Carlos Jericho Petilla assures personnel and hotel staff of the MacArthur Park Beach Resort that they would not be affected by the turnover of management from the Philippine Tourism Authority to the provincial government this January. All of its staff would be absorbed by the provincial government and would now be under the latter's payroll. However, Gov. Petilla said initial operations of the hotel would be undertaken by the provincial government but in the long run the province would be inviting interested takers from the private sector who are willing to invest millions of peso for the hotel's improvement, rehabilitation and addition of facilities. "Should there be any interested takers and that's what we really planned in the first place, whatever would they impose in as far as salaries of the hotel staff is concerned, we would not be able to compel them otherwise," Gov. Petilla said. This was the governor's response on concerns on the salaries and benefits now presently enjoyed by the hotel staff as being PTA-run surfaced after Executive Order 756 was issued on October 2 by President Gloria Macapagal-Arroyo that lends authority to transfer the hotel's management from the PTA to the provincial LGU. Meanwhile, the governor said transferring the management from PTA to the province also meant transfer of the hotel's operation expenses which have been on the downside over the past years..
"Short of saying they have been losing badly, the hotel has existed because its operation was being subsidized by PTA. And now the province would inherit that role of subsidizing the same operations," Gov. Petilla said. Thus, he added, the provincial government's plan is to tap private investors who would be willing to invest at least P700 million for the hotel's improvement. "The province would not be able to finance such improvement at the moment because we have other priority projects. But we have pursued the transfer of management as it was a question of until when would the national government be willing to subsidize the operation of the hotel as the establishment was not earning enough revenue for it to continue its operation. We may have to lose the hotel entirely in the near future should the PTA have decided to shut it down because it has been losing and we do not want that," the governor said. Aside from this, it was learned, the maintenance of the nearby historic MacArthur Landing Memorial and National Park is also turned over to the province which has been under the PTA together with the operation of the hotel. Already, he said there are a number of investors who have contacted him and expressed their interest to invest for the hotel's improvement and initial talks with interested foreign consortiums are underway. The vision is to improve the hotel's existing facility to attract more tourists to the area. Improving the hotel is part of the province's long-term and comprehensive growth and development plan for the whole Government Center area that would be center and host of government offices, ICT Park, commercial and business establishment, a park and other facilities. TACLOBAN CITY -- Japan Automaker Isuzu Motors Limited (IML) formally opened yesterday the P130 million Auto Mechanic Training Center at the Technical Education and Skills Development Authority (TESDA) regional office here in the bid to upgrade the skills of young Filipinos in automotive technical training. IML Chairman Yoshinori Ida said that this will capacitate out of school youth to be competitive in car making just like in Japan. The first batch has 30 scholars coming from economically-depressed areas of the country under the Plan Philippines Program. The facility houses a two-storey 1,656 square meter workshop, 160-bed capacity dormitory for boys and girls, cafeteria, multi-purpose covered court, complete set of training equipments and tools for workshops. The training equipments to include vehicles costs P39 million. 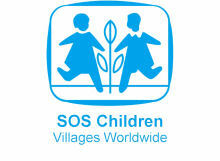 "This project is for children that are in need of support and development in developing nations. Isuzu already initiated this project in Indonesia and Vietnam," Ida said in a media gathering. Isuzu will be involved in training in the next two years. Scholars will have automotive national certificate level I to IV. "It is my dream that this will be the best auto mechanic center in the Philippines. We will be responsible in providing high skills. This will deserve workers to be paid with stable wages in the future," Ida added. Plan Philippines Country Director Michael Diamond said that they got 1,012 applicants from provinces of Occidental Mindoro, Northern Samar, Eastern Samar, Western, Masbate, Cebu and Southern Leyte. "This project truly opens door to poor but highly deserving students from areas where Plan works. With this, young people from some of the most depressed provinces in the country are given hope for a better and brighter future," Diamond said. The top three scholars will be hired by Isuzu Motors for their automaking plant in Japan. The rest of the scholars are free to work in other car manufacturers. "Lives of deserving young Filipino people who are not as privileged as others in terms of resources will be uplifted through this project which is part of our corporate social responsibility," Ida stressed. One of the beneficiaries, Marlon Garcia, 18, of Brgy. Poypoy, a remote village of Calintaan town in Occidental Mindoro, said that he was grateful for this project considering that his mother has no money to send him to school. His father passed away during his childhood days. "I can pursue my education now. When I graduated last March, I never expected that I can continue my studies," Garcia told Leyte Samar Daily Express. Isuzu Philippines Corp. recently donated one NHR passenger van and IML of Japan gave one Crosswind XTi prior to the opening of training center. Isuzu Motors chose the country as the beneficiary of this training center considering that "37% of the country's population lives below the poverty line, with some three million young people unable to receive education." According to Isuzu, the training will fill the poverty gap with the growing demand for auto technicians as the country registers more than five million motor vehicles each year. TESDA regional director Juan Sabulao said that in its second year of operation, the training center would also upgrade skills of workers who have been in the automotive industry for many years now. "The center will be opened during evenings and weekends to accommodate to retrain workers." The training center is an "Isuzu Heart & Smile Project," an integral part of the Japanese carmaker's campaign to mark its 70th inaugural anniversary early this year. TACLOBAN -- The Tacloban Market Vendors Forum (TMVF), an umbrella organization composed of 18 vendors associations in the city, has came out in favor of the bid of Tacloban to be reclassified as a highly-urbanized city (HUC). In a Manifesto of Support, the organization also expressed its gratitude to the mayor for his continuing support to market vendors in the city. The manifesto, which was signed by TMVF officers, was issued towards the end of the TMVF General Assembly held in this city, recently. Ray Rodriguez, chairman of the TMVF, said that their organization issued the manifesto to show its strong support to the bid. "Iginpapakita namon, pinaagi hini nga manifesto, it amon hul-os nga suporta hit pagkonbertar hit syudad ngadto ha usa nga HUC, dara nga nakikita namon tanan nga tipakadto ini hit mas progresibo nga Tacloban," Rodriguez stressed. "Nanawagan liwat kami ha iba nga mga vendors ngan mga molopyo dinhi ha Tacloban nga suportahan ini nga pagigin HUC hit syudad," he added. The TMVF, which counts more than 1,000 members, is composed of the Tacloban Small Fish Vendors Association, Tacloban Rolling Snack Vendors Cooperative, Cut Flowers Association, Tiange Fruit Vendors Association, SEVEMCO, Tacloban Davao Association, Tacloban Quezon Boulevard Vendors Credit Coop, and Agora Annex Vendors Credit Cooperative. Also under the TMVF are the Tacloban Main Bldg. Vegetable Section Credit Coop, Tacloban Meat Vendors Multi-Purpose Cooperative, Tarcela Vendors Association, Tacloban Chicken Vendors Multi-Purpose Cooperative, North Wing Bldg. Stall Holders Association, Tacloban Native Delicacies Cooperative, Tacloban Dried and Salted Fish Association, Tacloban Banana Multi-Purpose, and the Tacloban Small Vendors Credit Cooperative. Tacloban City Mayor Alfred Romualdez is pushing for the conversion of Tacloban into an HUC on the ground that it will bring more investors and further economic development, not only to the city, but the region, as a whole. He pointed out that under the law, the city has already met all the requirement s which is 200, 000 population and an annual income of P50 million. Tacloban has a population of more than 217,000 with an income of over P600 million. President Gloria Macapagal-Arroyo had issued a proclamation on October 4 declaring Tacloban as an HUC. The proclamation officially takes effect only upon ratification in a plebiscite scheduled to be held on Dec. 18 this year. If the "yes" vote prevails in the coming plebiscite, Tacloban will become the region's first and the nations 34th HUC. TACLOBAN CITY -- Keeping the promise of assisting children realize their full potentials, Plan Philippines, a global non-government humanitarian organization with offices in 66 countries worldwide opened its way to children and youth for a comprehensive auto mechanic training package with the construction and operation of a multi-million center which will be formally turned over to TESDA today with the technical and financial assistance of Japan's automaker, the Isuzu Motors Limited. The 5-year project aims to train children and youth who belongs to 37% of the country's population who are under privileged. "Dako iton amon pagpasalamat heni nga oportunidad kay sigurado kami nga hingangadto it amon anak hin kaupayan ngan makakabulig ini hiton amon pamilya." (We are very grateful to this opportunity as this leads to our children's brighter future and in helping our family), says a parent from Eastern Samar whose 17-year-old daughter availed the first batch of 30 scholars who are now on its 3rd week of hands-on training. Located at the TESDA's Regional Training Center in Tacloban, the project caters to the marginalized communities covered by Plan in Samar, Northern Samar, Eastern Samar, Southern Leyte, Camotes, Cebu, Masbate and Occidental Mindoro. "It is always a dream for most Filipino parents to let their children finish schooling, get employed and help other family members, but lack of financial resources hinders this dream to happen. 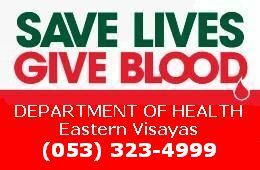 There, Plan comes in," says Rodel Bontuyan, Area Manager for the Visayas Program Operations. The especially designed 2-year curriculum with levels I to IV National Certification is complemented with facilities such as; a two-storey 1,656 sq.m. workshop building, a 160-bed capacity dormitory, a cafeteria, a water system and a state-of-the-art tools and equipment for the automotive course. Plan also constructed 810-square meter basketball covered court with access road development. This is the first of its kind, says TESDA officials and they look forward into adopting this model in other training centers in the country. Assisting for 47 years now, Plan Philippines carries its child-centred programs in education, health, water and sanitation, livelihood, governance, child protection and disaster risk reduction through participatory approaches with community people by creating an enabling environment and capacitating them to lead and actively participate in their own development. The added value of putting children at the heart of everything makes the difference. Starting this year, much of Plan Philippines' investment goes to education through school assistance in which children are supported with school supplies, bags, uniforms, transportation subsidy to those who are far from schools and other school fees. The auto-mechanic training project is a big leap of what Plan had been doing in the past. "Ipinapangako ko po, hindi ko palalampasin ang oportunidad na ito. Ito ang magiging daan para sa katuparan ng aking mga pangarap." (I promise to take hold of this golden opportunity this would lead to the fulfillment of my dreams) stressed Mirasol of Masbate whom will be presented together with the other scholars during the turnover ceremonies. To be attended by some of the region's government heads, Plan staff and visitors from Isuzu Motors, the day's activity will be graced by no other than TESDA's Director General, Sec. Augusto Boboy Syjuco who also serves as the keynote speaker. TACLOBAN CITY -- City Councilor Cristina Gonzales- Romualdez said that the recently-opened "pasalubong" center could help boosts local traders who are into souvenir-making. The "pasalubong center" is located within the Balyu-an Park Amphitheatre which had its "soft opening" last week graced by Romualdez. It was learned from Romualdez that the center would not be an exclusive domain of traders from the city but even those coming from other parts of the region could have their space there. Several of the 12 traders occupying stalls at the said center came from outside Tacloban. Among the products that could be seen at the "pasalubong" center are items made of native materials like bags, bracelets and several Christmas items. "This (pasalubong center) will serve as a venue for our local traders where they can display and sell their products," Romualdez, who is a member of the city council's tourism committee, SAID. "The center will really be our local suppliers," the wife of Mayor Alfred Romualdez added. Meantime, Councilor Romualdez said that a museum will soon be constructed with the pasalubong center building wherein items which have historical or cultural values will be out into display. "We are also planning to ask Mrs. Marcos to lend us some of her famous shoes so we can display them in the proposed museum," she said. 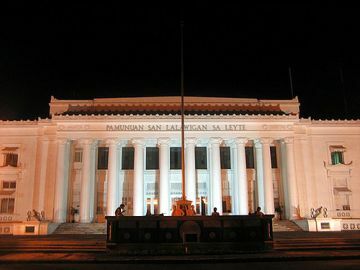 The construction of the said museum is expected to take place early next year, Romualdez added. The construction of the museum as well as the pasalubong center is part of the efforts of the incumbent city officials to help boost Tacloban's economy and attract more tourists. The opening of the "pasalubong center" coincided with the blessing of the Balyu-an Park Amphitheater which is being projected by the city government as a potential landmark of Tacloban. The city government is also mulling the plan to preserve the city's historical spots and landmarks not only to attract tourists but also serve as a reminder to the present and future generations that Tacloban has also played an active role in the country's history.